On behalf of the directors and officers of the Society, welcome to this Eighth Annual General Meeting. It was been an unusual year that called upon our resources in many ways. As mentioned in last year’s annual report, we signed a contract with the city to carry out a 375th Montreal Anniversary project, the only one in our district. It was a unique opportunity to have a substantial budget. The culminating event is the exhibition Vernissage next Thursday at the Salle de diffusion in the William Hingston Complex, ending on January 14. 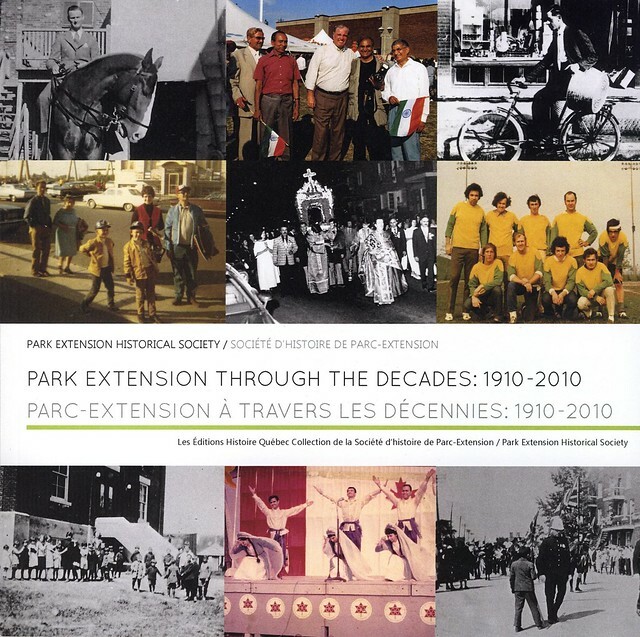 This project, presenting the history of the old CP yard before it is covered with university buildings, was planned with the Société d’histoire d’Outremont. 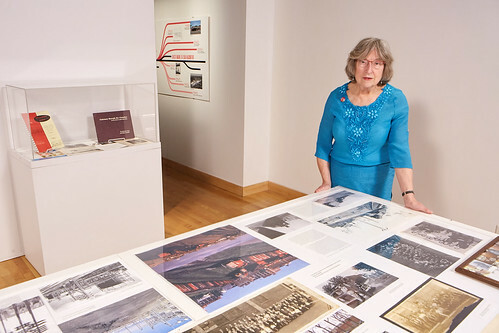 We gave guided walks on our own territories, had movie showings about trains and pooled our knowledge and 375th funds to mount a professional display. Through several hours of meetings, we learned about each other’s boroughs and how differently we function. I have since met other dedicated volunteers in local and industrial history and discovered the world of model trains. A booster of the 375 project was the Université de Montréal PHOTOS: Ville de Montréal Community Relations Dept..
November 30, 2017 vernissage. 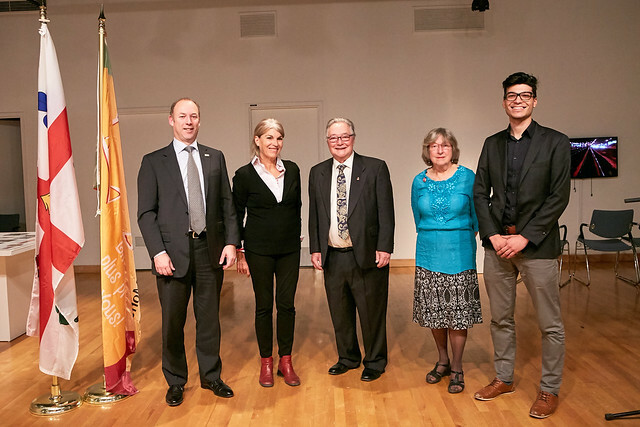 L to R: Alain Boilard, directeur général, développement Campus MIL; Madeleine Rhéaume, coordonnatrice, Relations avec la Communauté, Site Outremont; Jean A. Savard, président, Société d'histoire d'Outremont; Mary McCutcheon, présidente, Société d'histoire de Parc-Extension & Rafik Bentabbel, attaché politique, VSP, représentant la mairesse Fumagalli et la conseillère Deros. This summer our Society was also involved in Mr. Hossain’s Citizenship ceremony and Canada 150 festival. The railway committee of John, Wally, Nick and Grace are thanked for their dedication and assistance at many events. Meanwhile the Society continued regular activities: publicized in the members' Bulletin and on Facebook. Awards Night was on October 24th, 2016 at India Beau Village, with historian Johanne Béliveau who is associated with the Centre d’histoire de Montréal. Two graphics arts students from CEGEP Marie-Victorin spent a couple of weeks in work-placement. We thanked STM for restoring the fish sculpture at the Station. We visited Barbara in Beaconsfield. PEHS T-shirts were produced for the Walk guides and recently, a second Facebook page was started by Grace Go under our French name. Mary attended the annual FHQ-QAHN convention where the Society received a plaque to honour its efforts in bilingualism. Now, it is our challenge to build on these experiences to attract more members and make our considerable history better known.